The Health Economics and HIV/AIDS Research Division (HEARD) based at the University of KwaZulu-Natal is a regional and global leader for applied research and policy development on critical health and development challenges for the African continent. HEARD’s mission is to influence and support evidence-based policy and good practice to more effectively address Africa’s health and development issues and to contribute to achieving health and sustainable development across the continent. 1: The Global Financing Facility: Emperor’s new clothes or a paradigm shift for health financing in low and middle income countries? The Global Financing Facility in Support of Every Woman Every Child (GFF) is the innovative approach to financing that sees countries significantly increase investment in the health of their own people. The GFF aims to save and improve lives and increase countries’ ability to thrive in the global economy. The initiative was launched as part of a global conversation about how to finance the SDGs and empower/enable countries to work towards achieving the SDGs. The idea of the GFF is to create a country model that brings together multiple sources of financing in a synergistic way to support national priorities. This model includes drawing on other sectors that influence health and nutrition outcomes, such as education, water and sanitation, and social protection. 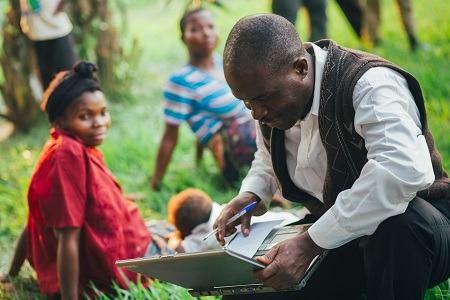 A potential PhD project could look at increasing the understanding of how the GFF has been established at a country level and what the effects of the GFF has been on allocative, technical and administrative efficiency in sub-Saharan African countries. With the adoption of the SDGs, countries have expressed a desire to work towards universal health coverage, with financial risk protection as a means to improve health and reduce health inequities. Its implementation in several countries has however seen health inequalities rise in recent years. In order to test the association between UHC, improved reach/access and health outcomes, dedicated research might entail Identifying a country which has recently adopted UHC, studying how reducing inequities are addressed and analyzing the outcomes. Many low-income countries rely heavily on donor funding to finance essential health services. However, this type of funding is often directed to a specific disease or population group. These countries have at the same time committed to work towards universal health coverage with financial risk protection. Effective provision of services under UHC requires proper prioritisation of which services should be provided and to whom. Countries must take a holistic approach to health and plan how a package of essential services can be delivered to the entire population. As governments only control part of the available funds, and as donor funds are usually directed toward a specific purpose, it limits governments’ ability to reallocate resources in line with identified priorities. Identify an African country which is heavily reliant on development assistance to provide health services. Explore how such services are prioritised and how this is linked to the coordination of donor funding. Explore to what extent resources, both domestic and external, are directed towards prioritised services. To what extent can countries influence the reallocation of donor funding? Award of the HEARD PhD research scholarship is conditional on candidates meeting the requirements for a PhD at the University of KwaZulu-Natal. Students will be required to participate in a compulsory training component during the first year of study. The training component will be conducted over four one week blocks during the first year. Candidates will produce a thesis related to one of HEARDs priority research nodes, as detailed above. During their PhD, students will be strongly encouraged to present their work at international meetings and funds will be made available for this purpose. Applications are invited from citizens of all African countries. Female candidates and, in the case of South Africa, those from previously disadvantaged backgrounds, are especially encouraged to apply. Make a commitment to remain on the African continent for at least TWO years after graduation. Certified copies of both your academic qualifications and of your full academic records. In the case of qualifications obtained from non-English speaking countries and English translation must be included. A certified copy of your ID/passport. Two letters of reference, at least one of which must be academic. The second can be from an individual of professional standing. The value of each scholarship is R540, 000. It will be paid in equal tranches over three years. Tranche payments will be paid dependent on a satisfactory progress report. Successful candidates are required to be based in Durban, South Africa, for the duration of the scholarship, with the exception of the time during which they may undertake field research elsewhere. Applicants in the process of completing a Master’s degree will not be considered. PhD students may not work while studying. Funding will be renewed annually over the three year period dependent on satisfactory progress. The first scholarship tranche will be released on proof of PhD registration and the opening of a South African bank account. If you have not received a reply within 8 weeks of the closing date kindly consider your application as unsuccessful. Applications must be submitted to Cailin Hedderwick, PhD Programme Coordinator (Hedderwick@ukzn.ac.za). Applications close on 25 January 2019. If you have not received a reply within 8 weeks of the closing date, kindly consider your application unsuccessful.